We can and we will get Two Dollar Gas at the pump if we simply choose carefully who we buy gas from. Here’s why. The variables of supply and demand control the price of most goods and services that are sold. However, when the consumer (us) believes that they have no choice or in our case simply make no choice of who we buy from, then the price that we pay will be determined by the seller. 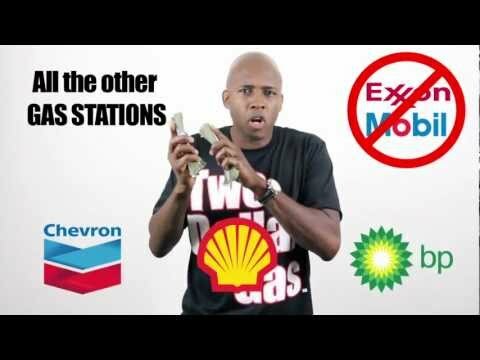 Big Oil (the major global oil companies) made record breaking profits selling us gas at about $3.00 a gallon in 2011. They could have made a profit selling us gas at $2.00 a gallon, but why should or would they do that if we are willing to pay whatever price that they set for gas. They are going to make even bigger profit this year if we allow them to continue to sell us gas at $4.50 a gallon or more. To get Two Dollar Gas at the pump all we have to do is choose carefully who we buy gas from. We have power in our pockets.